Pictured above is PDS' new sensory room used for the dental treatment of patients with special needs. 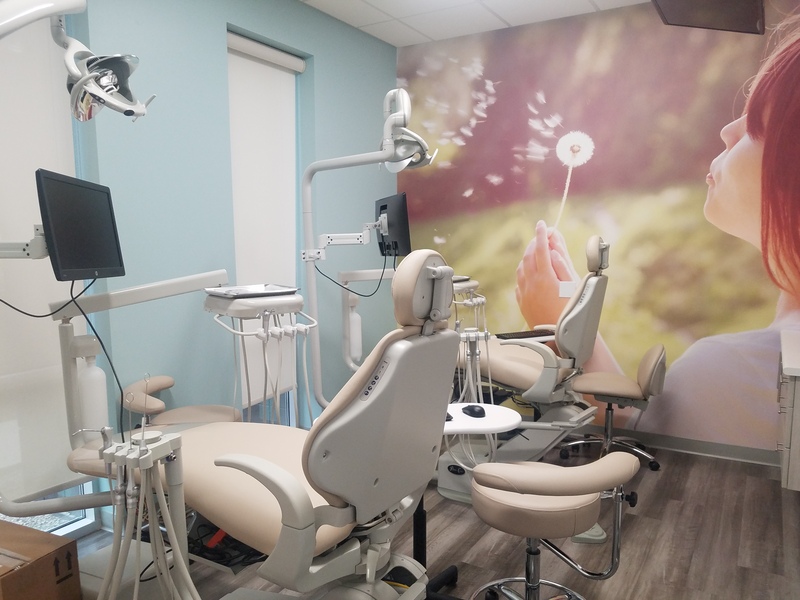 On March 25th, 2019 the Pacific Dental Services® (PDS), a 501 (c)(3) charitable organization, opened a brand-new clinic. This new clinic is not focused on ordinary patients but is instead designed for providing dental care to patients with special needs, entitled the Pacific Dental Services Foundation Dentists for Special Needs. This new clinic will treat both adult and pediatric patients with special needs and is headed up by Jack Dillenberg, DDS, who will serve as the Clinical Director; and Jacob Dent, DDS. This is just one of a small but growing number of dental clinics and practices making sure dentists are equipped and properly trained to provide care to patients with special care needs. According to the CDC, estimates in the United States show that about 15% of children aged 3 to 17 have one or more developmental disabilities, which are defined as “impairment in physical, learning, language, or behavior areas.” Furthermore, there are more than 52 million people with developmental disabilities in the United States, but only 10% of dental professionals are considered prepared for treatment of patients with special needs. This is in large part due to how many patients with special needs react to dentistry in a way that is often not containable for dentists without the proper training and equipment for their practice. This in turn makes it increasingly difficult for parents with children with special needs, and adult patients with special needs themselves, to find dentists that have the proper experience and willingness to accommodate them. Annually the UCLA School of dentistry only awards six advanced education certificates to dentists who completed the special needs program in general practice residency. At the clinic itself there are six residents, two full-time faculty members, and several part-time faculty members, mostly volunteers, who see special needs patients. Coupled with the high demand of this undeserved community, wait times range anywhere from 6 to 12 months before a patient can be seen. Treatment for special needs patients also presents a range of physical challenges and sometimes can be accommodated by informing the dentist ahead of time, such as a patient who uses a walker or wheelchair, but most of the time cannot be accommodated unless the practice is prepared for it. Children with special needs may have sensory issues that make routine cleaning impossible unless done in a way that is sensory sensitive, or provides restraints, and in some extreme cases sedation. These options make things difficult for not just patients but dentists as well, leading many of them to decline treating patients with special needs. The new Pacific Dental Services Foundation Dentists for Special Needs clinic will include multiple features necessary for care of special needs patients including a sensory room for sensory friendly treatment, customized schedule to accommodate all patients, and a clinical team trained to serve the at-risk special needs community. These are all necessary components for any practice looking to serve patients with special needs, but perhaps the most important component is making sure patients have a plan for dental care outside of the office. Giving them and their caregivers the right tools and skills to keep their teeth and mouth clean and avoiding complications that will require more intensive procedures. While there are not nearly enough clinics readily serving the special needs community, organizations like the Special Care Dentistry Association are pushing for more training to every clinic. Making sure every practitioner has the chance to learn how to properly treat special needs patients if they don’t already have the training. They also provide a database for patients seeking these specialty clinics and practices in the case your practice cannot currently handle special needs patients. For more programs for special needs individuals read here.